Get into the routine of sharing my work online - "shipping" my work everyday. This project rose from me reflecting on my blocks as a creative -- I tend to be super perfectionist and detail-oriented with everything, so it takes me a long time to decide on a project, let alone execute it and share it with anyone. I wanted to practice not being afraid - of making things quickly even if they don't turn out exactly the way I want them to - because, I realized, more important is the iterative mindset of growth. 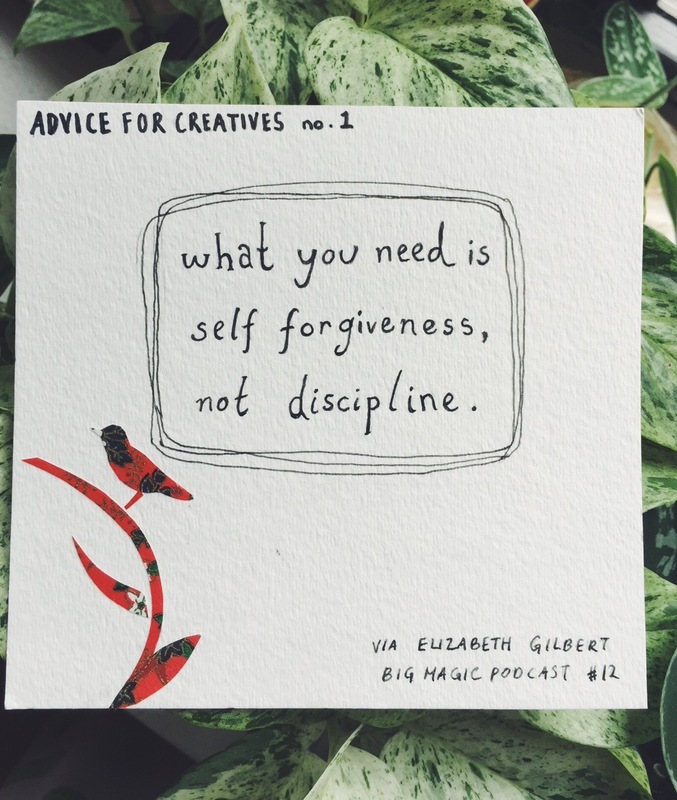 Distilling the wisdom of creatives felt to me the perfect way to practice this, because it encapsulates knowledge and wisdom I want to internalize and use in my own creative journey. Each piece takes me about 30 minutes each to make, and 30 minutes to photograph, write about, and post online. I bought an assortment of origami and printed paper. I decide on a quote I want to use, I sketch it out in pencil, I rewrite it in pen, then I play around with a certain cut of paper until I have something I want to try. I glue it down before I change my mind.